Researchers in Isreal have developed a new way to optimise antibiotic treatment and reduce the risk of bacterial resistance. Across the world, bacterial infections are becoming increasingly resistant to the most commonly prescribed antibiotics, rendering some infections almost impossible to treat. But resistance isn't the whole story. Bacteria frequently enter into periods of metabolic dormancy, when they effectively switch off and slumber. While they're in this state, which is known as tolerance, they stop being sensitive to the effects of many types of antibiotics. This means that, even if they are sensitive to a drug, they still might not all be killed by an antibiotic course, so infections can keep coming back. Doctors guard against this by using longer antibiotic courses and ultimately more antibiotics overall, which together make the resistance problem worse and pushes up the drug bill. But to know how long the dormant spell lasts for a specific bug population has always been hard to measure and is almost certainly beyond the capabilities of most hospital microbiology departments. Now scientists in Israel have found a way to do this much more easily. Natalie Balaban and her colleagues at the Hebrew University, Jerusalem, writing in the Biophysical Journal, have developed a metric that they dub the MDK - minimum duration for killing - that enables them to register the extent of the dormancy in a given bug population so that antibiotic treatment can be adjusted accordingly, either up, or down. "Some infections [with low levels of dormancy] don't require a long course of treatment," explains Balaban. "You could use less antibiotic for less time." 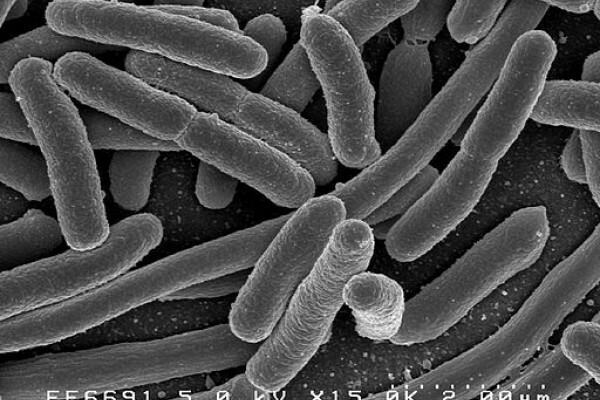 Equally, tolerance can help to breed resistance, because bacteria that reawaken as an antibiotic course is ending may be exposed to much lower levels of the drug, helping to select out from the population hardier mutants with the ability to defend themselves against the agent. To make their MDK measurements, the Israeli team add between 100 and 1000 bacteria to a series of tiny wells on a culture plate at set time intervals. These wells are already filled with an appropriate concentration of the antibiotic under test. Ultimately, the antibiotics are washed out from the wells, which are refilled with normal nutrient culture media and the plate is then incubated. The following day the plate is inspected to see whether any bacteria are growing. Those with a short dormancy will only grow in wells where the bugs were exposed to the antibiotic for short times. Conversely, bacteria with longer dormancies will grow in a much greater range of wells, enabling the MDK to be calculated statistically. Knowing this crucial detail means that doctors can make more informed choices about the selection of antibiotics used to treat an infection and in this way both reduce overall antibiotic consumption and select optimal antibiotics that will result in the fastest, most thorough sterilisation of an infection. "At the moment labs just measure resistance," says Balaban. "They're missing this extra detail, which could make a big difference to effective antibiotic treatment." Next Is this how Parkinson's Disease invades from the gut?